Dickinson College contacted B.R. 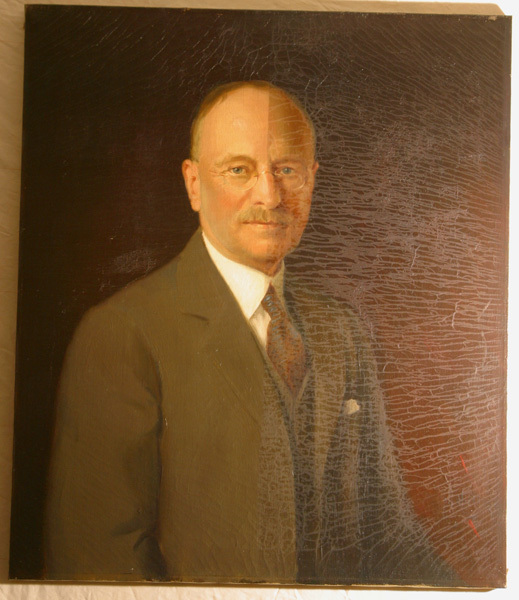 Howard & Associates to provide a condition assessment and perform conservation treatment of their Charles Zug portrait. The painting was carefully packed and transported to our studios for a thorough examination. The surfaces were cleaned using a mild enzymatic cleaning solution. The deteriorating yellow varnish was removed using cleaning gels. Surfaces were then rinsed using de-ionized water applied with cotton cleaning swabs. The flaking, cracking paint was consolidated and set down. The missing stretcher keys were replaced and the painting was lightly stretched by increasing tension on the original stretcher bars. The surface was given a clear, non-yellowing isolation varnish to protect and saturate the original surface. The painting was placed back in the frame and an acid-free dust cover was attached to the back. 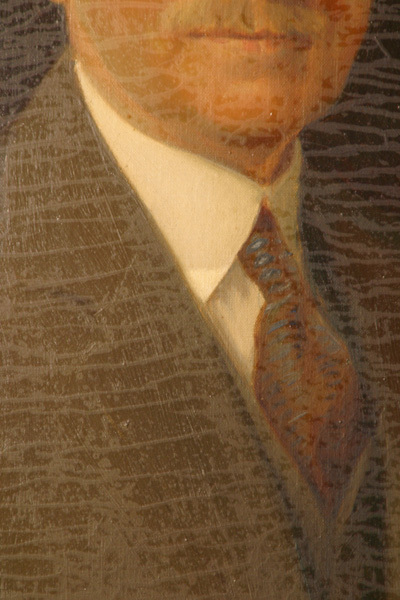 The Charles Zug Portrait was then returned to the college.